‘Calabar’ vows to make the cut for 2017 Caf Award – Kenyatta University TV (KUTV). All Rights Reserved. Kenyan defender David ‘Calabar’ Owino has vowed to make it to the nominees list for 2017 Caf African Player of the Year Award. Owino, who turns out for Zambian giants, Zesco United, said his target for 2017 is to make the list of nominees and also help the his team win trophies in all competitions. ‘Calabar’, who joined Zesco United from Gor Mahia, saiad he remains confident that the club will achieve the set target of collecting silverware in all competitions. “I feel we have the ability to win honours and even the Confederations Cup. We have a lot of strong teams both in the league and Confederations Cup, meaning there will be stiff competition. However, we are a strong team too and we are in these competitions to win. All we need is to work hard and not lose the team spirit that has built us over the past years,” Owino told the club’s official website. Owino added that youngsters being promoted from junior teams should not relax because they have started earning a full salary but instead, urged them to work harder and challenge for places in the first team. 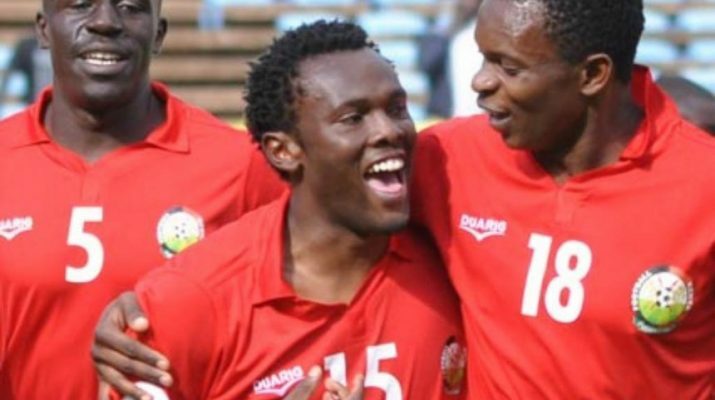 Odhiambo plays for Zesco United alongside other Kenyans—Anthony Akumu and Jesse Were. Zesco United will start their campaign for Confederation Cup against Nigeria’s Enugu Stars on Saturday.